Enter code ARBORDAY19 to get Applique Butterfly Set FREE with Any Order! Shop Now! This machine embroidery design is part of our Floral Foliage collection. It uses the Satin Stitch technique. It will fit the Large hoop (5" x 7"). The designs look great on table linen. 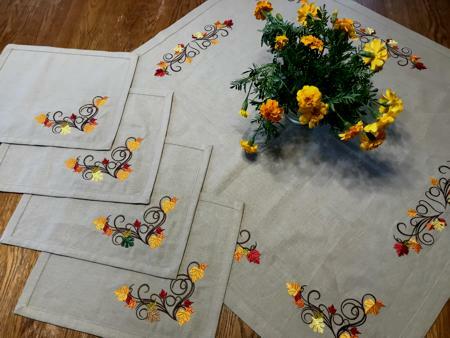 You can read about how to sew these placemats and table topper on the project page.